India’s Kashmir Valley has been the scene of a Pakistan-backed insurgency since the 1990s. The Indian army and its associated security forces have been engaged in fighting this insurgency and assisting the civil administration in maintaining law and order. On July 8, the Pakistani terrorist group Hizb-ul-Mujahideen’s commander in Kashmir,Burhan Wani, was killed in an encounter with security forces in Kashmir’s Anantnag district. Wani’s death plunged the state into deep turmoil, pitting Indian security forces against a large number of disenfranchised Kashmiri youth sympathetic to Wani’s anti-India resistance movement and calls for jihad. A full-blown confrontation between incensed youth and Indian security forces followed that resulted in 68 civilian deaths and over 2000 injured protestors, leaving an embarrassed Indian state facing a crisis of governance with no clear plan to prevent escalating violence. Exposing the fragility of the Indian state further, the Indian military publicly declared its frustration with political directives. In an unprecedented step, a strict curfew imposed in the Kashmir valley during Eid celebrationshas renewed a fresh cycle of violence between protestors and security force, killing two protestors and injuring several more. New Delhi appears to be running out of options to de-escalate levels of violence. The Modi government’s Pakistan policy remains intriguing. We have seen the flip-flops of 2014 and 2015, ranging from border bombardments to hearty embraces and cold vibes. But the direction it is taking now is baffling. In international meeting after meeting, the prime minister has attacked Pakistan’s support of terrorism and the need to sanction Islamabad. Take the past week for instance. On September 4, in Hangzhou, addressing fellow BRICS leaders, Modi said that there was need to intensify joint action against terrorism which had become the primary source of instability and biggest threat to the world. On September 5, Modi intensified the attack saying that “one single nation” in South Asia was spreading terror and that there was need for that nation to be sanctioned. On September 7, addressing the ASEAN summit in Vientiane, Modi declared “one country has only one competitive advantage: exporting terror”. And again reiterated the need to “isolate and sanction” the country which was a threat to everyone. 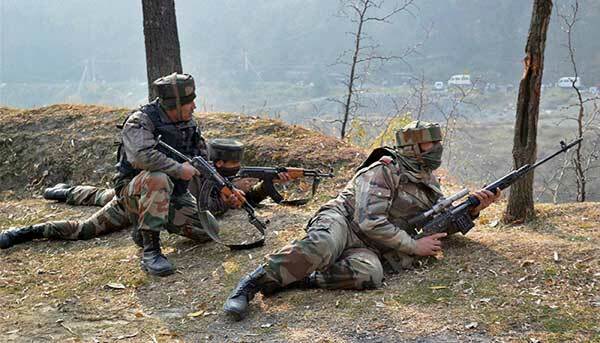 As per the media reports, “in the next 48 hours, thousands more soldiers will be deployed in south Kashmir, with an emphasis on rural areas. The military is moving back into areas that it vacated in the last two years as they were considered militant-free”(TOI). Ironically all those voices that said AFSPA was draconian and should be removed are keeping silent. Probably they are waiting for that opportune moment to strike back and blame the soldier, curse him, redicule him and demonise him. Finally put the complete burden of continued insurgency in the valley as a direct fallout of the soldier’s misdeeds. Elide the truth by questioning his medals and citations; gross human rights violation as they killed the innocent civilians for professional gains. Well! Such a moment may take many many months. The Left leaning Lutyenati is also quiet. While the Maharaja who could not be is giving interview to a Kashmiri daily, claiming to be holding a lasting solution, but waiting for a right moment. Omar Abdullah is talking of pre 1950 autonomy status in an effort to revive his fortunes. Tibet’s instabilty appears clearly in the 70,000-character petition sent by the Panchen Lama to Zhou Enlai in May 1962.The Tibetan Lama who had been made Chairman of the Preparatory Committee for the Tibet Autonomous Region when the Dalai Lama left for India in 1959, dared (‘with anger’) to criticize the policies of the Party in Tibet. The Chinese Premier requested Xi Zhongxun, Vice-Premier and father of Xi Jinping, Li Weihan, the minister of the United Front Work Department dealing with ‘Minorities’, General Zhang Jingwu, the Representative of the Central Committee in Tibet and General Zhang Guohua, the Secretary of the CPC Tibet Committee and main commander during the 1962 war, to read and study the Panchen Lama’s petition. Indeed, he had gone ‘too far’ for the Communist leadership; Mao called it a ‘Poisonous Arrow”. The Afghan National Defence and Security Forces frequently complain that they are unable to capture Taliban positions without air support and that such support, if it arrives at all, is insufficient. However, a recent episode in a mountainous part of Afghanistan suggests that these claims might be fallacious and that the real problem lies somewhere else. Staying in Ziraki, the centre of Raghistan, a remote district located among the hilly high pastures of the mountains of Afghanistan’s northeastern province of Badakhshan, I hear the sound of a distant aircraft coming closer. It is, however, not the sound of the rotors of the Russian-made Mi-17 transport helicopter that I was hoping for to hitch a ride out. It is the low hum of a high-flying turboprop aircraft. Like the other men – all Afghans, be it pro-government vigilantes, soldiers or ordinary local residents – I search the cloudless light blue sky for the plane. Given its flight altitude it takes me a while to spot it. When I finally see it, it is so tiny that I can just make out the shape of a fixed-wing aircraft. But the circumstances make the designation simple: given that there is no airstrip up here where a small transport plane like the Afghan Air Forces’ Cessna 208 Caravan could land and that the international coalition does not field any turboprop attack aircraft in Afghanistan, it has to be one of the A-29 Super Tucanos. The Afghan Air Force received the first eight of a total of twenty such light attack aircraft from the United States of America in January and March of this year. I lose sight of the aircraft, but still hear it circling around to the north of my position, arguably doing reconnaissance. There is also, most probably, a second A-29 in the sky. Then, the distant thunk of a loud explosion rips through the steady, monotonous hum. Afterwards, the planes continue to circle above the area and the sounds of other explosions follow. In total, the A-29s drop at least six bombs on insurgent positions before they leave and the sky is once again quiet. My family has been falsely implicated in drug racket. It is distressing to see that my family is suffering because of my profession. It is difficult to be a journalist in Pakistan and that too in tribal areas. You are punished for bringing out stories that do not sit well with the military establishment, which is ubiquitous here. We see Taliban commanders visiting military quarters in the tribal belt. What happens inside is not for us to know. We are caught between the military and the terrorists. Being a journalist has cost me my family, who disowned me after the slapping of false charges. And now I am without money, looking for alternative means of sustenance. — An unnamed journalist from an unspecified location in tribal areas to SAIR . Media in Pakistan, particular in the tribal regions, is under siege. Working under constant threat to life and livelihood, media personnel have faced a backlash from both state and anti-state elements. These include the warring political parties, military intelligence agencies and terrorist formations operating across the country. As freedom becomes increasingly elusive for media personnel in the country, the International Federation of Journalists (IFJ) report, released on February 3, 2016, noted that Pakistan runs fourth on the list of the deadliest countries in the world for journalists, recording a total of 115 killings since 1990. According to partial data compiled by Institute for Conflict Management (ICM), a total of 57 journalists have been killed in targeted attacks since 1994 (data till September 11, 2016). This could be a complete departure from India’s earlier policy on Afghanistan when New Delhi chose to restrict itself to giving economic aid only – up to USD 2 billion till now which has gone towards capacity buildings in the field of infrastructure, education, agriculture etc. This apparent change of attitude on the part of India may have been prompted by a sustained deterioration of Pakistan-Afghanistan bilateral relations and rapid spread of Islamic State (IS) influence in the eastern part of Afghanistan. But, by sticking its neck out into the Afghan quagmire India has certainly taken a great amount of risk. It maybe a calculated one given the fact that Pakistan is now raising barbed wire fences on a two kilometer stretch near Torkham which is situated on the Durand Line, the cartographical border between Pakistan and Afghanistan ,which the latter never accepted as. Recently there was heavy fighting between the Pakistani and the Afghan army at Torkham, as Pakistan tried to build up a post on its side of the border and the Afghans tried to stop it. Relation between the two countries is likely to deteriorate further as the Tehrik-e-Taliban Pakistan (TTP) is wreaking havoc inside its own country with active support from the Afghan Taliban. Death of Karimov, ruler for 27 years, won’t end Uzbekistan’s exploiting its geostrategic location in Central Asia. A quick glance at a map of Asia reveals the geostrategic primacy of Uzbekistan. The country has common borders not only with the four former Soviet “stans” –Turkmenistan, Kazakhstan, Kyrgyzstan and Tajikistan – and but also Afghanistan. And its population of 32 million exceeds the total number of people in the rest of the former Soviet Republics of Central Asia. The Uzbek constitution mandates that the senate chairman become acting president until a presidential poll can be held within three months. But on September 8, the Uzbek Parliament elected Shavkat Mirziyoyev, the country’s premier since 2003, the interim president. Backed by long-serving intelligence chief Rustam Inoyatov, Mirziyoyev will likely be the official candidate set to garner the usual 90-plus percent of the vote. Though lacking Karimov’s brutal cunning, he will likely follow his master’s policies of repressing Islamists at home and making opportunistic decisions in foreign policy. Turkey’s military intervention in northern Syria (Operation Euphrates Shield) has raised both hopes and concerns about defeating the Islamic State of Iraq and the Levant (ISIL). While some regard it as a positive turning point in the anti-ISIL fight, particularly after Turkish and Free Syrian Army (FSA) forces quickly expelled ISIL from thestrategically important border town of Jarablus, others see the incursion as a further setback. Turkish attacks on the U.S.-backed Kurdish People’s Protection Forces (YPG) — the military wing of the Democratic Union Party (PYD), an affiliate of the Kurdistan Worker’s Party (PKK) and the most effective anti-ISIL force in Syria — may leave Washington trapped between allies fighting each other in Syria. Underlying these scenarios are assumptions that Ankara has fundamentally changed its strategy, that Syrian Kurds are vital to defeating ISIL, and that a portendingU.S. “betrayal of the Kurds” will undermine their will to fight and the effectiveness of the campaign. Neither of these predictions is fully accurate. Turkey’s incursion in Syria represents continuity of policy rather than dramatic change. While becoming more engaged against ISIL over the past year, Turkey still prioritizes the PKK and its affiliates as a strategic threat — just like it did at the war’s outset. Nor does Turkey-YPG fighting create a new dilemma for the United States. The U.S. strategy of defeating ISIL “by, with, and through” local partners has meant balancing competing interests and differentiating between tactical and strategic allies. CENTCOM commander Gen. Votel made this distinction clear by affirming continued U.S. backing for the YPG while requesting its forces depart the territories west of the Euphrates. This upholds Ankara’s redline and keeps the Kurdish communities of northern Syria from linking up a geographically contiguous zone of territory along Turkey’s border. Vice President Biden did the same by warning Kurds that they “cannot, will not, and under no circumstances will get American support” if they do not keep their commitment to withdrawing to the other side of the Euphrates. These dynamics are unlikely to undermine the YPG’s will to fight — they benefit greatly from U.S. support — but they could forge regional alliances committed to keeping Syria’s borders intact while further embroiling Turkey in Syria’s cross-border quagmires. Turning Point or More of the Same? On August 3, 2016, Jordan MacTaggart, a self-described radical leftist and atheist, was killed in action while fighting with a Kurdish militia against the Islamic State. It was his second tour of duty in Syria. McTaggart was seriously wounded during his first. Born and raised in suburban Colorado, he was a high school dropout, a reformed drug user, and a fan of punk rock. MacTaggart followed the conflict in Syria, discovered the Kurdish People’s Protection Unit, or YPG, and decided that fighting with them was worthwhile and a welcome break from his mundane life. MacTaggart was the second American killed fighting the Islamic State this summer and the third overall. With over 100 U.S. citizens estimated to have traveled to Syria and Iraq to join the fight against the Islamic State, stories like MacTaggart’s raise an important question: Why do individuals volunteer to fight in a war with which they have no connection? When we began our research, which we presented at the Midwest Political Science Association’s annual meeting this past spring, we encountered a fundamental challenge. Most of academia and the media did not consider or call these (mostly) men fighting against the Islamic State “foreign fighters,” which they obviously are. In previous research, they were mostly ignored, and in the press, they were almost invariably referred to as “volunteers” or “vigilantes,” but they seemed more like foreign fighters to us, even if they were on the other side of the war. The most widely used definition of “foreign fighter,” at least in the academic world, comes from David Malet’s exceptional book on the topic. The fundamental criteria for inclusion were that the individual was not a citizen of the state he was fighting in, that he was a volunteer and unpaid, and that he was not a government agent of any kind. This specifically disqualifies mercenaries, employees of private military companies, and people who volunteer for foreign militaries. This allows us to distinguish people who volunteer to fight in foreign wars for reasons other than money or other personal gain from those that chase wars for the monetary benefit. Weeks before Islamic State militant Abdelhamid Abaaoud led the Nov. 13 terror attacks in Paris, French authorities thought he was holed up in northern Syria. Western Intelligence agencies pursuing Abaaoud had tracked him there using cell-phone location data and other electronic footprints. 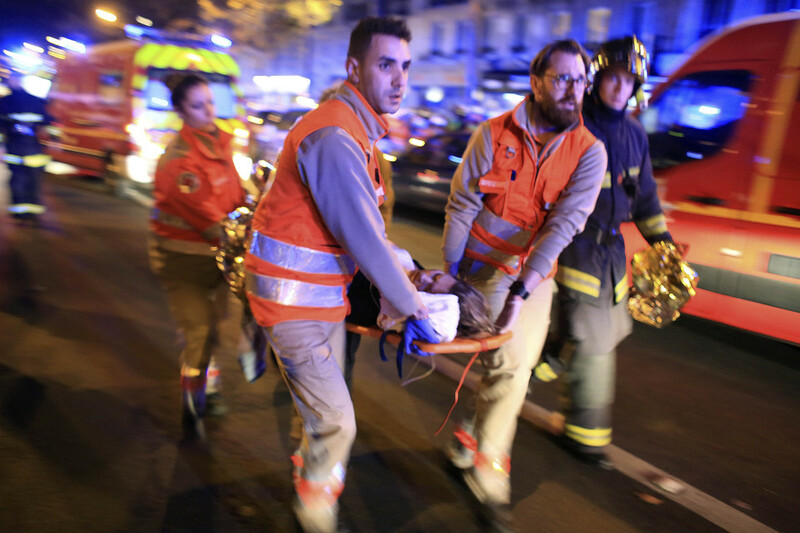 The Paris attacks, which killed 130 people, showed how badly they were fooled. Abaaoud had slipped past the dragnet and entered the city unnoticed. Terror attacks in Europe, which have killed more than 200 people in the past 20 months, reflect new operational discipline and technical savvy by the Islamic State terrorists who carried them out, security officials said. A new programme from Google’s tech wing is using the tech giant’s most obvious strength to debunk Isis propaganda by serving aspiring fighters targeted ads and videos which undermine extremist ideology. 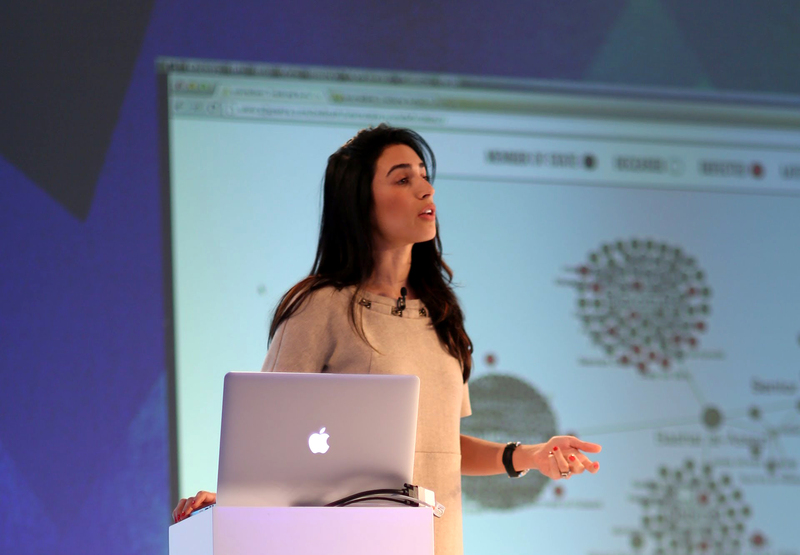 Jigsaw, which was known as Google Ideas up until earlier this year, created the programme dubbed the 'Redirect Method' in collaboration with London start-up Moonshot CVE and Beirut-based Quantum Communications. It works by using Google’s search algorithms - so if a would-be recruit typed in keywords people seeking Isis content usually look for, they will be served adverts and YouTube video playlists in Arabic and English which look pro-Isis on the surface, but are actually links subtly refuting the group's propaganda. Some of the videos are surreptitiously filmed footage from inside the caliphate, for example, showing long lines outside food shops in Raqqa, Isis’ defacto capital, or interviews with young people with their faces obscured about what it’s like being forced to live under the militants' rule. Other videos feature interviews with defectors, or imams who point out Isis’s teachings are not in line with Islam. GOOGLE has launched a massive online fightback against evil Islamic State (ISIS) in a bid to wipe out the group’s poisonous propaganda. The Internet search giant has developed an ingenious programme designed to put off would-be jihadis who search the web looking for information about the twisted terrorist group. Under the radical new scheme youngsters at risk of falling prey to Islamist extremism are greeted not with gruesome ISIS propaganda, but instead material showing the true nature of the barbaric death cult. A pilot of the project has proved to be a huge success, with more than 300,000 would-be jihadis worldwide potentially being put off the terrorist group for good in a matter of months. The system works by targeting internet users who enter search terms into Google closely associated with Islamist radicalisation. 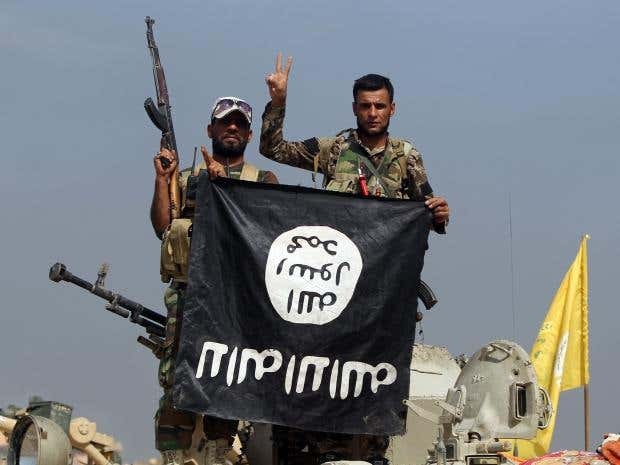 Technicians at the online giant have combed through reams of data associated with extremist youngsters who have gone to fight for ISIS in Syria to find out which terms they searched. "She told me, 'Well, I was looking at photos online and I thought I was going to go live in the Islamic Disneyworld,'" quotes Yasmin Green, head of research and development at Jigsaw, the think-tank spun out of Google earlier this year. "It's so incredible because what you and I see in the media, nothing would support the impression that this is an 'Islamic Disneyworld,'" Green says. "But this is what this 13-year-old thought she was signing up for." The militant group has become adept at radicalizing people through digital propaganda like what the child found online. Ultimately, authorities only prevented her from joining the Islamic State's jihadist group because they pulled her off the plane before it took off. Green met the girl during Jigsaw's extensive research into ISIS's online recruiting narratives and how people get sucked into them. Fast-forward more than a year, and Jigsaw has turned its research into a formula it hopes will dissuade potential recruits. The initiative takes advantage of Google's main skill: Advertising. The clash of civilisations thesis has far-reaching political implications. Its supporters contend that any attempt at reconciliation between “the west” and “the Muslim world” is doomed to failure. They further maintain that the EU can work only if it renounces the multicultural fallacy in favour of an unabashed “western” identity. In the long run, only one culture can survive the unforgiving tests of natural selection, and if the EU refuses to save western civilisation fromIslamic State and its ilk, Britain had better go it alone. GOOGLE HAS BUILT a half-trillion-dollar business out of divining what people want based on a few words they type into a search field. In the process, it’s stumbled on a powerful tool for getting inside the minds of some of the least understood and most dangerous people on the Internet: potential ISIS recruits. Now one subsidiary of Google is trying not just to understand those would-be jihadis’ intentions, but to change them. Jigsaw, the Google-owned tech incubator and think tank—until recently known as Google Ideas—has been working over the past year to develop a new program it hopes can use a combination of Google’s search advertising algorithms and YouTube’s video platform to target aspiring ISIS recruits and ultimately dissuade them from joining the group’s cult of apocalyptic violence. The program, which Jigsaw calls the Redirect Method and plans to launch in a new phase this month, places advertising alongside results for any keywords and phrases that Jigsaw has determined people attracted to ISIS commonly search for. Those ads link to Arabic- and English-language YouTube channels that pull together preexisting videos Jigsaw believes can effectively undo ISIS’s brainwashing—clips like testimonials from former extremists, imams denouncing ISIS’s corruption of Islam, and surreptitiously filmed clips inside the group’s dysfunctional caliphate in Northern Syria and Iraq. There’s been a lot of silliness over the past two weeks on the subject of Syria’s civil war. And I’m not only referring to the verbal banana peels of Libertarian presidential candidate Gary Johnson, who recently wondered aloud on “Morning Joe” what an Aleppo was. The real sophistry has been emanating out of that august paper of record, the Washington Post. It began with an op-ed by Anne Applebaum, a distinguished Russia scholar who tends to fall on the hawkish side of the foreign-policy spectrum. Applebaum, flipping the script on restraint advocates, deplores the calamitousnon-intervention in Syria. Though she concedes that a marshaling of American military forces might have “ended in disaster,” she counters that “sometimes it’s important to mourn the consequences of nonintervention too,” which include Syria’s sanguinary death toll, the destabilization of the Middle East and Europe’s migrant crisis. Where to begin? America did intervene in the Syrian conflict through at least two operations, one run by the CIA and one run by the Pentagon, to arm the anti-Assad rebels, a strategy that proved wildly ineffective and lucrative for terrorists. All the way back in 2013,intelligence officials were warning that the Nusra Front, then Al Qaeda’s franchise in Syria, was the strongest and best equipped of the rebellious factions, and the future Islamic State was lurking nearby, too. A better question to pose is: what would have been the consequences of deeper intervention, as originally mulled by President Obama? It likely would have made matters worse by bolstering the side that’s teeming with Sunni jihadists. In 2010 the Swedish parliament, having decided it no longer needed the large armed forces that had for centuries defended the country, suspended the mandatory draft. The following year, so did Germany. Other European countries including France, Italy, Latvia and Lithuania likewise scrapped or suspended conscription as they concluded that large-scale defense was no longer necessary. But now the draft is making a comeback in Europe. Johan Wiktorin, a Swedish former army officer who is now a security columnist and consultant explained the difficulties his country faced in transitioning to an all-volunteer force: “Volunteer soldiers are not in our culture, and it has been difficult for the armed forces to compete on the labor market.” As a result, the Swedish Armed Forces are having trouble recruiting soldiers, even at the reduced manpower requirements for a volunteer military. With the country’s healthy economy generating plenty of job opportunities, only the most dedicated young men and women will voluntarily join the armed forces—and there have turned out to be too few such people. What’s more, with Russia looming larger than it has in decades, Sweden is moving to address its manpower shortage. This month, a government-appointed rapporteur is expected to recommend a return to the draft. According to the daily Svenska Dagbladet, the rapporteur—Annika Nordgren Christensen, a former Green Party MP who served on the parliament’s defense committee—will recommendthat starting next year, all seventeen-year-olds will be registered for the draft, with selection taking place when they are eighteen. Unlike the previous draft, the new one will—if passed by parliament, as is likely—also include women. That will bring Sweden in line with Norway, which has already expanded its draft to women, and several other European countries that are consideringdoing so. It will take something approximating a miracle for any substantive good to flow from the temporary truce that was meant to take effect in Syria from sundown on Monday, following last week’s agreement in Geneva between Russia and the US. No one can seriously deny that among nations deserving of a miracle, Syria is decidedly at the top of the list after five years of a brutal war that has claimed hundreds of thousands of lives and uprooted millions of others. Analysts such as the BBC’s Middle East editor, Jeremy Bowen, have predicted that the conflict could conceivably drag on for another decade. In the circumstances, even the vaguest glimmer of hope has a novelty value. It is perhaps equally inevitable, though, that the prospect of even a partially sustainable cease-fire is viewed with considerable skepticism, notwithstanding the fact that key protagonists – from the Bashar Assad regime and Hezbollah to US allies among the rebels – tentatively support the US-Russian initiative. From what has thus far been made public, we know that if the truce holds for a week – and that’s a big if – the Russians and the Americans will begin coordinating their airstrikes against Daesh and the group formerly known as Jabhat Al-Nusra, which has lately disavowed its links with Al-Qaeda and altered its nomenclature with the apparent aim of reflecting its exclusive focus on toppling the regime in Damascus. The Quarterly: In your recent American Psychology article, you asked a question that should be interesting to just about all executives: “Under what conditions are the intuitions of professionals worthy of trust?” What’s your answer? When can executives trust their guts? One of the most important questions facing leaders is when they should trust their gut instincts—an issue explored in a dialogue between Nobel laureate Daniel Kahneman and psychologist Gary Klein titled “Strategic decisions: When can you trust your gut?” published byMcKinsey Quarterly in March 2010. Our work on flawed decisions suggests that leaders cannot prevent gut instinct from influencing their judgments. What they can do is identify situations where it is likely to be biased and then strengthen the decision process to reduce the resulting risk. Our gut intuition accesses our accumulated experiences in a synthesized way, so that we can form judgments and take action without any logical, conscious consideration. Think about how we react when we inadvertently drive across the center line in a road or see a car start to pull out of a side turn unexpectedly. Our bodies are jolted alert, and we turn the steering wheel well before we have had time to think about what the appropriate reaction should be. Assuming Hillary Clinton wins in November (if Donald Trump wins, all bets are off for we will be in uncharted territory, perhaps even the Bermuda Triangle, in both domestic and international policy), the issue of U.S. primacy will reappear with a vengeance. To her credit, both as secretary of state and as a presidential candidate, Mrs. Clinton has not made much of her foreign-policy differences with Barack Obama. But it is fairly obvious what she would have done differently, most notably: intervened aggressively in Syria, built up U.S. forces in Iraq far more quickly than Obama did, and been much more confrontational with Russia over Ukraine and the Baltic states. In contrast, given that Obama succeeded in getting his universal health-care plan through Congress, which had been Mrs. Clinton’s “signature” issue in the first two years of her husband’s first term, there are not many major reforms that she can undertake (gun control, the most obvious one, remaining in my view a political nonstarter). Whether she will keep her word to oppose the Trans-Pacific Partnership, there is nothing in her past to suggest that she is any less of a liberal interventionist than she has been since the mid-1990s. The “national greatness” conservatives such as Robert Kagan and Max Boot who have already endorsed her see this clearly. So Mrs. Clinton will come into office with virtually the entire U.S. foreign-policy elite, liberal interventionist and neoconservative alike, having strongly backed her. The differences between the two wings of the policy establishment were never as pronounced as it sometimes appeared during George W. Bush’s first term. Though even while Mrs. Clinton has acknowledged that she was wrong to back the invasion of Iraq in 2003, if not quite Blairite, her support was certainly enthusiastic. And if she has changed her views since, and become more cautious about what foreign wars in the name of democracy can achieve, well, so have many of the neoconservatives who have come round to supporting her. Tim Compston, Features Editor at Security News Desk, catches-up with P.W. Singer, the author of ‘Cybersecurity and Cyberwar’, and Ghost Fleet – ‘a novel of the next world war’, for his thoughts on how states are turning to the cyber domain as part of their current and future military planning. The statement, “The people who cast the votes decide nothing. The people who count the votes decide everything” is usually attributed to the late Soviet dictator Joseph Stalin. Whoever said it, that thought is probably in the mind of Russian President Vladimir Putin as November 8 approaches. For months, the reported hacking into Democratic National Committee emails and the release of confidential DNC documents has been linked to possible Russian cyber attacks. Last week it was revealed that U.S. law enforcement and intelligence agencies are investigating what may be a broadly-based covert Russian cyber operation designed to discredit and possibly interfere with ballot counting in the November election. The election processes in Arizona and Illinois have reportedly been subjected to attempted or successful cyberattacks probably performed by the Russians. The FBI has reportedly alerted all state and local officials to the possibility of cyberattacks on the voting process. America’s states have controlled the election process since the colonial era. Having the federal government seize control of it seems almost as frightening as if the Russians did. Cyber red lines: ambiguous by necessity? Members of Congress, academia, industry and policy circles have derided the lack of clear red lines in cyberspace -- cyber acts that would, without question, warrant a response. However, from the government’s perspective, some level of strategic ambiguity in red lines allows for critical political wiggle room. Kanuck spoke Sept. 7 at the 2016 Intelligence and National Security Summit in Washington. While attribution, an elusive component in the cyber domain, appears to be much less convoluted in the physical world, at least one military official expressed a contrary view. “While cyber is difficult and we’re still maturing, it’s not like it’s easy in lots of other domains. You look at questions about who shot down the [Malaysia Air passenger jet] over the Ukraine [in 2014], who’s doing what in other countries -- often it’s not quite clear, it’s hard to prove exactly who was behind it,” said Lt. Gen. Kevin McLaughlin, deputy commander at Cyber Command. In the case of the downed jet in Ukraine's disputed Crimea region, many believe the plane was shot down using by separatists with Russian-supplied surface -to-air missiles, however, there is still some doubt. The chances of this data actually coming from these service providers is near zero. I say this because firstly, there's a very small chance that providers of this calibre would lose the data, secondly because if they did then we'd be looking at very strong cryptographically hashed passwords which would be near useless (Google isn't sitting them around in plain text or MD5) and thirdly, because I see data like this which can't be accuratelyattributed back to a source all the time.